Congratulations on participating in a code.org workshop! 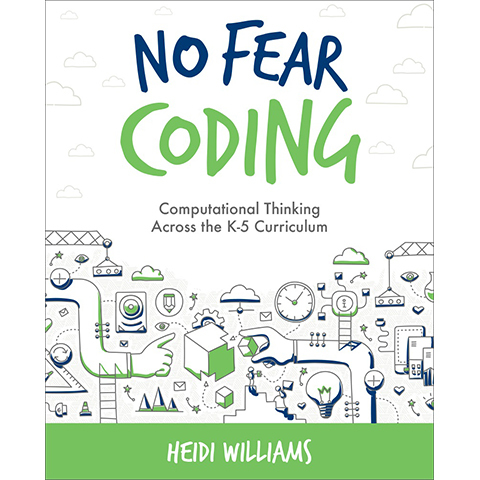 We’re excited to offer ISTE membership exclusively to Code.org teachers at the special price of $99 — includes a FREE print copy of the ISTE book No Fear Coding. To keep the learning going, the International Society for Technology in Education (ISTE) provides ongoing support for teaching computer science and effectively using technology throughout your teaching practice. ISTE provides virtual on-demand professional learning, in-person events and a vibrant online community of educators around the world. Professional Learning Networks made up of peer experts and focused on specific topics, including the ISTE Computer Science Network for educators interested in coding, computational thinking and computer science. Hundreds of webinar and ISTE Conference & Expo recordings on coding and other edtech topics, like the webinar “Coding for All!” that you can watch here. Empowered Learner, our print and online magazine for members covering the most important topics in edtech. It’s filled with practical resources and inspiring feature articles ($49 retail value).